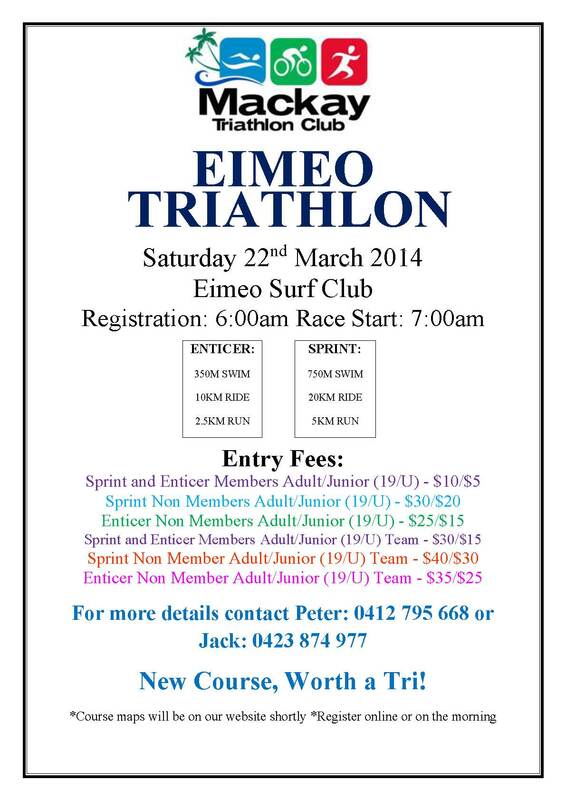 Here it is guys and girls, our first Enticer and Sprint Distance Triathlon of 2014! Eimeo Beach this Saturday, not Sunday as previously advertised! Its a new and exciting course, so come along and have some fun. Course Maps are available under the ‘Event Maps’ tab. The swim will be off the Eimeo Beach, the Eimeo Surf Lifesaving Club will be providing the course and water safety for the event.